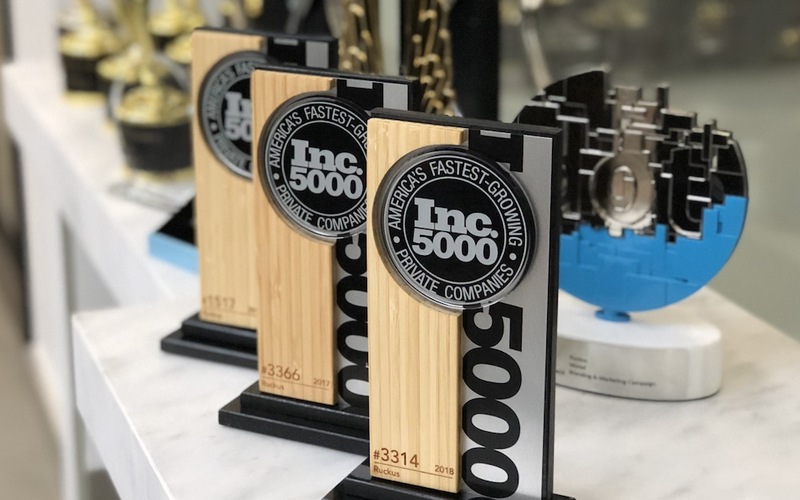 The Ruckus team is extremely proud to announce that it has been named to the 2018 Inc. 5000 list of the fastest-growing private companies in America. This is the third time since 2015 that Ruckus has achieved the honor, marking a prolonged and continuing phase of rapid growth. Ruckus would like to thanks its clients, old and new, for their patronage. It also wishes to recognize its many wonderful team members – account managers, designers, developers, content creators, media specialists, strategists, and more – for their exemplary work. As our projects, our team, and our headquarters continue to grow, we will face a new bunch of challenges, and we look forward to overcoming them together. We are honored to have had our past successes recognized and even more excited to continue pursuing the same success moving forward. Check out Ruckus on the full Inc. 5000 List here.